What are the most common injuries I could suffer if I am hit by a car? Unfortunately, pedestrian accidents are common in Henderson due to the large number of out-of-town visitors here on vacation or business trips and the popularity of walking in general. Many of these accidents are tragically caused by drunk drivers. Because you do not have any protection from the impact of a car or truck hitting you in a pedestrian accident, you are more likely to suffer catastrophic injuries or death. What Are the Most Common Injuries in Pedestrian Collisions? TBI can be caused by the blunt force of a vehicle hitting a pedestrian’s head or the force of impact when the person is knocked onto the hard pavement. Traumatic brain injury can cause permanent changes to an individual’s mobility, vision, memory, concentration, emotions, and more. A person can suffer chronic pain and limitations of movement if a spinal disk is ruptured or damaged. He can experience even more devastating permanent changes to his life if he suffers partial or complete paralysis due to spinal cord damage. Rib fractures, brain bleeding, internal organ damage, and internal bleeding are common injuries that may not be apparent for hours or days after the accident. When severe, internal injuries may be life-threatening. Pedestrians can suffer broken ribs, arms, legs, pelvic bones, and other fractures in a collision. They can be more serious than in other types of vehicle crashes and cause long-term pain and limits in a person’s mobility. 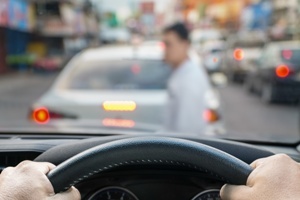 Have You Been Involved In A Henderson Or Las Vegas Pedestrian Accident? If you or a loved one was injured in a pedestrian accident we are here to fight for your rights aggressively. We represent visitors here on vacation and business as well as local residents. Contact us online or call our Henderson office directly at 702.405.6000 to schedule a free initial consultation. 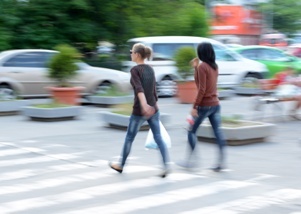 What should I do if I was injured in a pedestrian accident? If you are injured in a pedestrian accident in Henderson, you could suffer life-altering injuries requiring months of medical treatment and time off work—if you are not permanently disabled. Fortunately, you can hold the negligent driver who hit you responsible for compensating you for your medical bills, lost wages, and pain and suffering. Here, we explain important steps you need to take following your accident to protect your health and your claim for compensation. If you were hit in the road or at an intersection, you should move to a safer place if you can. This will protect you from being injured in another accident. You should seek immediate medical treatment if you suffered an injury. Even if you do not believe you were seriously hurt, you should be evaluated for a possible back or neck injury, spinal cord injury, internal bleeding, or traumatic brain injury. These kinds of injuries sometimes don’t produce symptoms for several days after an accident. By seeing a doctor right away, you can protect your health and avoid disputes with the insurance company as to the cause and seriousness of your injuries. It is important to contact the police at the scene of the accident and obtain a copy of the police report for your claim. The police report will help you document that the accident occurred and will contain important information, such as contact information for the driver, details about the incident, and the officer’s conclusions as to who was at fault. Get the contact information for the driver and his insurance company. It is also crucial to get this information for any eyewitnesses because their testimony can be extremely helpful to proving the driver’s negligence. You may not be able to locate them if you do not get their contact information right away. Take pictures of the accident scene, the damage to the vehicle that hit you, your injuries, and anything else you think may be important. If you are too injured, ask someone to do this for you. Retain an experienced pedestrian accident attorney as soon as possible. He can file your claim, collect the evidence you need, and negotiate your settlement for you. If you or a family member was injured in a pedestrian accident in Henderson, our experienced pedestrian accident attorneys are here to fight for the compensation you deserve. We represent out-of-state visitors injured while here on vacation or business as well as Henderson residents. Contact us online or call our Henderson office today at 702.405.6000 to schedule your free consultation to learn more about our extensive experience in these cases and your legal options. What are common causes of pedestrian accidents in Henderson? Many Henderson residents walk for exercise and to get around town. In addition, since Henderson is a popular tourist destination, out-of-town vacationers and business travelers often choose to walk to their destination. Unfortunately, the chances that a pedestrian will be injured or killed by a car has been steadily increasing. According to the National Highway Transportation Safety Administration (NHTSA), 5,987 pedestrians were killed in pedestrian accidents across the country in 2016—up from 5,419 in 2015. Distracted driving is unsafe at any time, but it is even more dangerous around pedestrians who are already at a disadvantage because they are less visible and have no protection from a much larger vehicle. Talking on a cellphone, texting, eating and drinking, and looking at a GPS are a few of the distractions that take a driver's attention from the road. When a person is speeding, it will take him longer to slow down and stop for a pedestrian that he suddenly notices. Due to the greater force of impact, the likelihood that the pedestrian will suffer catastrophic injuries or death increases dramatically at higher speeds. Pedestrians at intersections and crosswalks can be hit when they are legally crossing the road and a driver fails to yield the right of way to them. A common cause of these accidents is when a driver makes a left turn at an intersection and fails to see a person in the crosswalk. When drivers fail to slow down for weather conditions, such as heavy rain and ice, they can lose control of their vehicle and slide right into a pedestrian crossing the road. If a driver is intoxicated by alcohol or drugs, his reaction time, vision, and judgment are impaired. Unfortunately, accidents due to intoxication are common in Henderson due to the popularity of local casinos, bars, and restaurants. Were you injured in a pedestrian accident in Henderson? You may be entitled to compensation for your medical bills, lost wages, and pain and suffering from the negligent driver. We represent injured victims who are residents of Henderson as well as out-of-state visitors. To learn about your right to compensation for your injuries and how we can help you, contact us online or call our office directly at 702.405.6000 to schedule a free consultation. What factors could affect my car accident settlement? If a negligent driver in Henderson causes you to suffer serious injuries in a car accident, you have a right to be compensated for your medical bills, lost wages, and pain and suffering. However, this does not mean that you will receive all that you are owed in your settlement. When the other driver’s negligence is clear cut, this can eliminate disputes with his insurance company over liability and strengthen the value of your claim. Strong evidence that can establish the other driver’s fault include the police report, neutral eyewitness statements, surveillance tapes, and pictures of the accident scene and damage to the vehicles. If you suffered serious long-term injuries, such as traumatic brain injury, burns, spinal cord injuries, or back or neck injuries, you may be entitled to more compensation because the cost of your medical care and time that you will be off work will be greater. If you were partially at fault in causing your accident, you may still be entitled to compensation for your injuries. However, the amount that you receive could be reduced by your percentage of fault in causing the wreck. For example, if you were 20 percent at fault and your damages are $200,000, the maximum you may be able to receive could be $160,000—still a substantial sum. When you claim that you suffered serious injuries that limit your ability to work and perform day-to-day activities, it is important that your post-crash actions be consistent with this. If the insurance adjuster conducts surveillance and discovers you are doing activities that you should not be able to do, this can significantly weaken your claim. Have You Been Injured In A Henderson Car Accident? Were you or a loved one injured in a car accident in Henderson? Our experienced car accident attorneys can explain what factors could affect your settlement and will aggressively fight for the compensation you deserve from the negligent driver. Contact us online or call our Henderson law office directly at 702.405.6000 to schedule a free consultation today. How can a car’s black box help in my Henderson car accident case? If the negligent driver’s insurance company disputes his liability for causing your car accident in Henderson, you will need evidence to prove his negligence. There are many types of helpful evidence. Pictures at the accident scene, eyewitness testimony, and expert witnesses are a few. One important item you do not want to overlook is the data recorder, or black box, in the vehicle that struck you. The black box data can be used by an accident reconstruction expert to help recreate your collision and show how the other driver—and not you—was at fault. Even without an expert, an experienced car accident attorney may be able to use some of the data to convince the insurance company of their responsibility to pay you a fair settlement. How Long Do You Have to Obtain the Black Box Data? You must act quickly to preserve the data on the black box before it is lost. Most devices will record over the data in approximately 30 days. However, the negligent driver and his insurance company most likely would not provide you with this information voluntarily. This is just another reason why it is so important to retain an experienced car accident attorney soon after your collision so that he can obtain the data if he believes it would help your case. Do you have questions about your rights after a car accident in Henderson? Contact us online or call our Henderson office directly at 702.405.6000 to schedule your free consultation. Is my car accident settlement or jury award taxable? When you get to the end of your auto crash case in Henderson and you receive what you are entitled to either in a settlement or jury verdict, it can be a huge relief to put your accident ordeal behind you. However, there is one more matter to consider. Is the amount you received taxed by the IRS? If you suffered injuries caused by a negligent driver, you are entitled to be compensated for your medical bills, lost wages, and pain and suffering. In the majority of car accident cases in Henderson, the settlement proceeds are paid to the victim in a lump sum settlement where all the compensation is lumped together in one payment with no specific designation as to what the amount is for. If you received your settlement in this fashion, you most likely would not owe any federal taxes on it. Are Amounts Awarded by a Jury in a Car Accident Case Taxable? The amount awarded to reimburse you for medical expenses would not be taxed. The lost wages portion of your award would be to make up for the paychecks you did not receive while you were off work recovering. Like your wages, you will owe taxes on this amount. Compensation for pain and suffering is more complicated. Any damages you receive for the physical pain and suffering is not taxed. This is commonly what a pain and suffering award is for. However, if any amount is being paid to you specifically for emotional distress, such as anxiety, depression, or other psychological conditions, federal taxes may be owed. Punitive damages are a much rarer type of compensation that is only given when the at-fault driver’s actions are grossly negligent. They are designed to punish the other party and not to compensate you. Because of this, you would owe taxes on any amounts the jury designated as punitive damages. Did a negligent driver in Henderson cause your auto collision? Our experienced car accident attorneys are here to answers your questions and fight for the compensation you deserve. We offer a free initial consultation. Contact us online or call our Henderson office directly at 702.405.6000 to schedule yours today. Can the Insurance Company Require Me to Give a Recorded Statement? 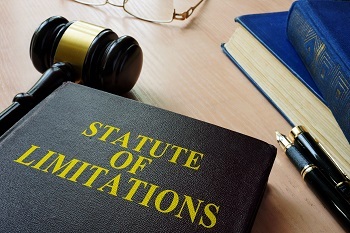 What is the statute of limitations to sue the negligent driver in a car accident in Henderson? If you or a loved one was injured in a Henderson car accident, one of the most important laws to understand is the statute of limitations to file your lawsuit against the negligent driver. While many cases settle without the need to file a civil complaint, you cannot guarantee this will happen in your case. Being certain to file your claim within the deadline to do so is essential if you want to obtain the compensation you deserve for your injuries. You have two years from the date of your accident to file a lawsuit for your personal injuries. You must file a lawsuit for damages to your vehicle and any property in it within three years of the date of your collision. If a family member died as a result of a car crash, you must file a wrongful death action within two years of the date of his death—not the accident date. If a minor suffered injuries in an auto wreck, he is required to wait until he reaches 18 years old to file a lawsuit under Nevada law and then has two years to take legal action. However, the parents of a minor can ask the court for permission to file a lawsuit against the negligent driver on the minor’s behalf. If this request is granted, the minor would lose the right to pursue his claim once he turns 18 years old. If your car accident in Henderson occurred recently, you may feel like you have plenty of time to pursue your claim. However, you could weaken your case by waiting to retain an experienced car accident attorney soon after your wreck. Evidence could be destroyed, witnesses may disappear, and you could make mistakes that hurt your case. We urge you to contact us online or call our Henderson office directly at 702.405.6000 to schedule your free consultation. We will help to answer your questions and provide information on how we can fight to get the settlement you deserve. When should I see a doctor following a car accident in Henderson? While you know to seek medical treatment if you were hurt in a car accident in Henderson, you may not go to a doctor if you do not think you were injured. However, you do not want to make the mistake that many accident victims make of not seeking prompt medical care only to later discover that they were injured in the crash. Your best strategy for both your health and your claim for compensation against the negligent driver is to see a doctor within a few days of your collision. You could be jeopardizing your health by not seeking prompt medical treatment. Adrenaline from the trauma of your collision could mask the symptoms of your injuries. So even though you may be hurt, you might not experience pain and other symptoms until the adrenaline wears off. In addition, the symptoms of some injuries, like traumatic brain injury and internal bleeding, may not develop for days or longer after your Henderson car accident. However, as these conditions worsen, they can turn into life-threatening emergencies or lead to permanent injuries if left untreated. Your injuries were caused by another incident other than your auto crash. Your injuries are not that serious. You would have seen a doctor sooner if they were as serious as you now claim. Disputes like these may weaken your claim for compensation for your injuries—the opposite of what you want to do. Fortunately, an experienced car accident attorney can help you refute these arguments if they are issues in your case. If you need to file a claim for compensation following an auto accident in Henderson, our skilled car accident attorneys are here to help. Our office is conveniently located in Henderson. To get your questions answered and discuss your next steps, contact us online or call us directly at 702.405.6000 to schedule your free consultation. What types of compensation could I be entitled to if I suffered injuries in a Henderson car accident? If you or a family member suffers injuries in a Henderson car accident, you may quickly realize that you need to file a claim for compensation with the negligent driver’s insurance company. When you take this important step, it is important to understand the basics of what you need to do to prove your case, how the settlement process works, and the types of compensation that you can receive. Here, we explain the types of compensation awarded in auto collision cases. 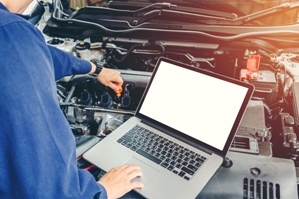 You are entitled to be reimbursed for the cost of repairing or replacing your vehicle, car rental fees while your vehicle was repaired, and your towing expenses. Ambulance fees, doctor bills, surgery, hospitalization, physical therapy, and medications are common expenses that you are entitled to be reimbursed for. If you need assistive aids, like crutches or a wheelchair, or in-home services, you may be reimbursed for these expenses as well. When you must take time off work while you recover, you are entitled to your lost wages, lost sick and vacation time, bonuses, commissions, and other perks of your job. You may also request lost earning capacity damages if you become permanently disabled or must take a salary cut and a career change due to your injuries. Pain and suffering damages compensate you for the pain you suffered due to the accident and your injuries. Depending on the severity of your injuries and how they affect your day-to-day activities and ability to work, this portion of your settlement could be substantial. If you lost a loved one in a car accident, you may be entitled to compensation in a wrongful death action. Types of compensation can include reasonable funeral expenses, medical bills incurred between the accident and death, and the loss of support, advice, and companionship of your family member. If the negligent driver’s actions were especially egregious, you may be awarded punitive damages to punish him. In Nevada, punitive damages are capped at triple the compensatory damages or a maximum of $300,000. You need the assistance of an experienced car accident attorney to value your claim and negotiate a settlement so that you receive what you deserve. At Jones Wilson Injury Lawyers, we have years of experience fighting for the rights of Henderson victims of auto crashes. To learn how we can help you, contact us online or call our Henderson office at 702.405.6000 today to schedule your free, no-obligation consultation.